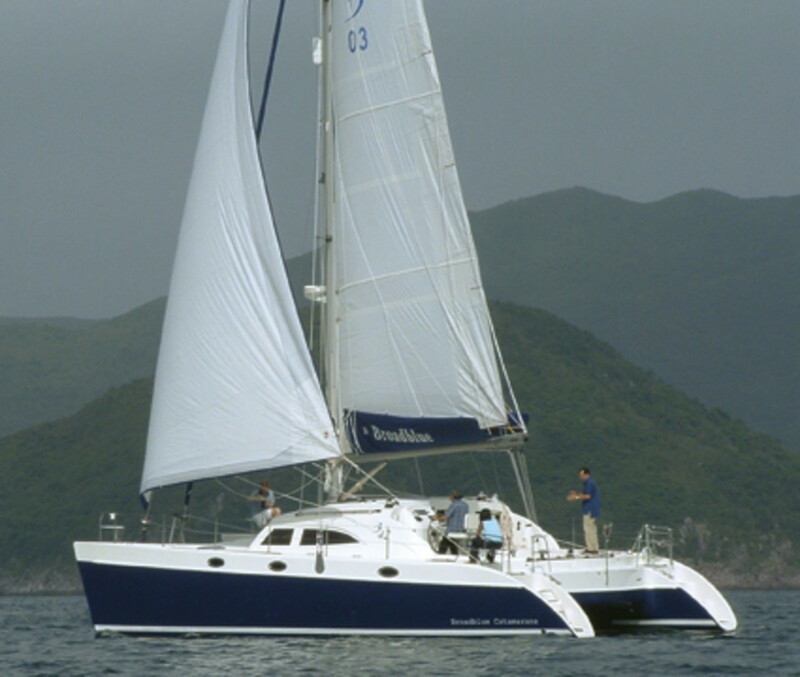 The Broadblue 42 is the latest cruising cat designed specifically for owners with offshore-cruising aspirations, and it appears to have all the right comfort and safety features. It has the large saloon, the bright, airy interior, the well-designed galley, and the four private cabins you’d expect on a cat that’s 42 feet long and over 20 feet wide, as well as watertight bulkheads (both fore and aft) and increased buoyancy in the bows to provide a safer, drier ride. End-grain balsa core is used to save weight and increase stiffness in the hull above the waterline, but the hull is solid glass below the waterline to provide superior impact resistance. Bulkheads and furniture components are made of cherry veneers that are vacuum-bagged over closed-cell foam core.